Britain is to trial making gun ownership legal following its resounding success in America and the many convincing arguments from republicans that this freedom to bear arms thing is actually very good idea. Prime Minister David Cameron said “You might think our cousins from over the pond are psychopathic buffoons with their insistence on keeping firearms legal. Indeed to the untrained eye it might actually seem like they end up knocking off over 33.000 of their own people by way of gunfire every year. But can you imagine how many fatalities there would have been if they hadn’t all had guns to defend themselves? 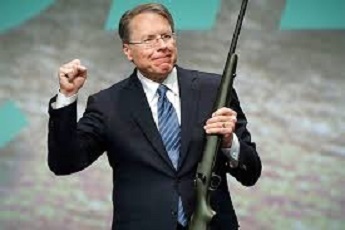 Republican Leadership hopeful and toupee model Donald Trump said he was overjoyed that Britain had decided to help itself by arming all citizens to the teeth with firearms and a heady dose of paranoia under the guise of home security. “You can kill someone with a gun but you can also kill someone with cheese if you drop a ton o it on someone’s head. So don’t forget if your murder rate goes up, then it’s nothing to do with the guns.” He warned. I am old and feeble so I really need a gun for when people want to beat me. And also so I can shoot things for fun. By ‘things’ I mean people and by ‘fun’ I mean to make up for being bald. Yes I agree , in my day people getting into heated arguments would often get glassed in the face creating ugly wounds, a bullet to the head would cause much neater entry and exit injuries !